Don’t you just feel healthier looking at this photo? 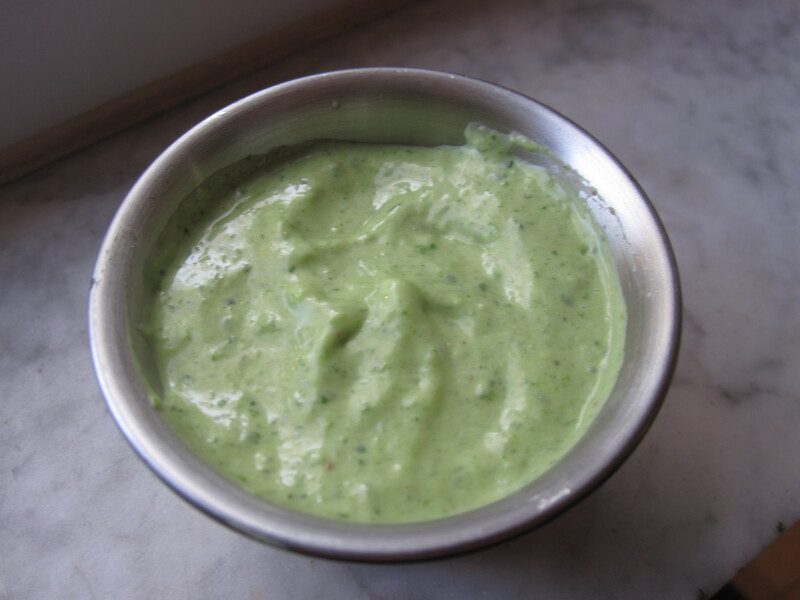 We had some herbs leftover from various recipes and I thought I’d make a yummy, fresh green goddess dressing. I searched the internet for a recipe and it turns out there are seemingly hundreds of variations out there. I basically combined several recipes to cater to the ingredients I had and the style of dressing I was looking for. 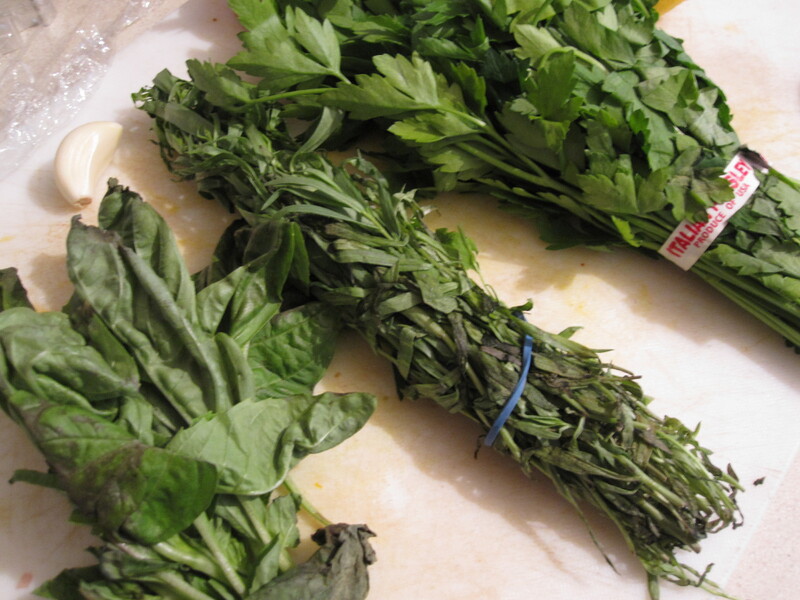 I used a 1/2 cup roughly chopped basil, 2 tablespoons chopped tarragon, and 1/2 cup roughly chopped parsley, since this is what we had. You can also see a clove of garlic hanging out up there as well. 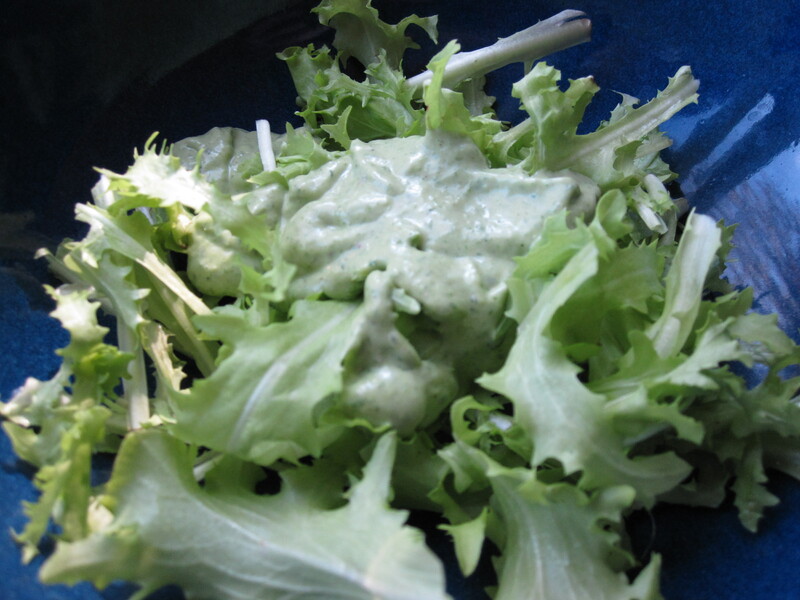 In addition to the herbs and garlic, I added 2 green onions, 1/2 cup of mayonnaise, 1/2 cup of sour cream, 2 anchovy fillets, lemon juice, red wine vinegar and salt and pepper to taste. I placed everything in the blender and set it to puree. 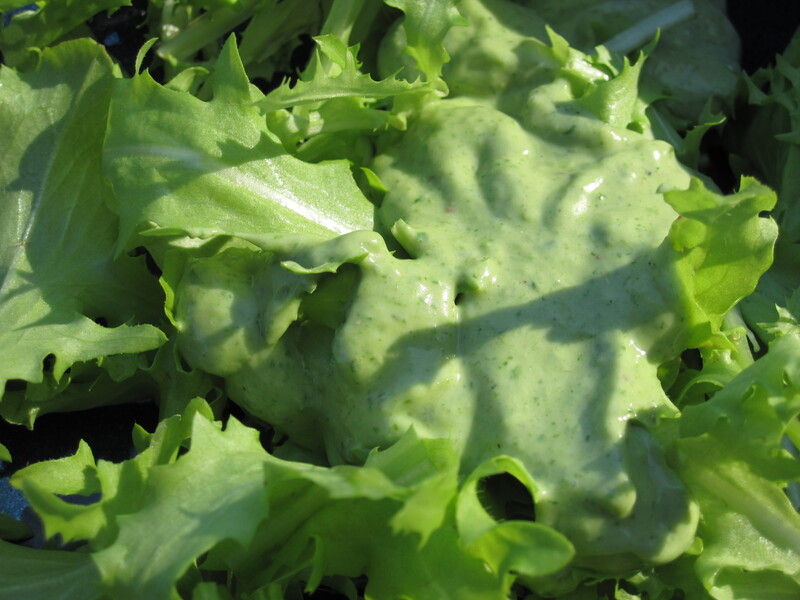 This dressing was a great way to use up the leftover herbs. 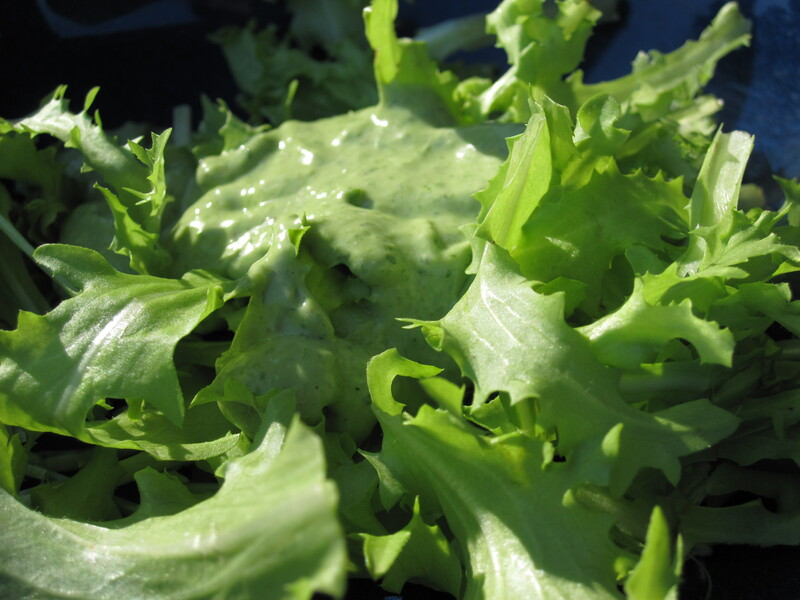 It stayed fresh in the refrigerator for about a week and I enjoyed it on many a lunch salad. 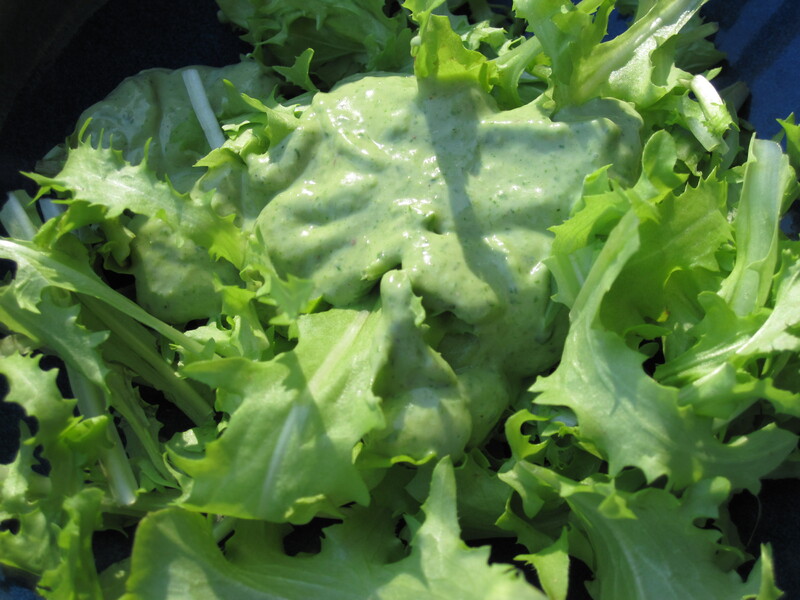 This entry was posted in Sauces and tagged anchovy, basil, garlic, green goddess, mayonnaise, parsley, recipe, salad dressing, sour cream, tarragon. Bookmark the permalink. This is the kind of thing that makes you wonder why the heck anyone would eat bottled salad dressing. Delicious! !